Pottenger’s work in curriculum innovation has improved teaching practice in schools across the region. He has created programs and provided professional development throughout Micronesia; codesigned PCC’s The Ocean Project; and engaged in science curriculum collaboration with colleagues in Japan, Korea, Australia, and New Zealand. More recently, he worked on cross-national civic education curriculum with colleagues in eastern Russia. 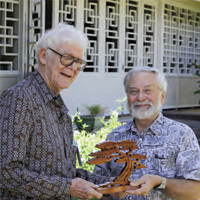 “Given the breadth and scope of Frank’s work, I can’t recall a colleague, nationally or internationally in the curriculum eld, who has impacted as many nations and individuals as he has,” University of Minnesota Emeritus Professor John Cogan wrote in his nomination letter. Thanh Truc T. Nguyen was selected for her outstanding professional accomplishments as one of Phi Delta Kappa (PDK) International’s 2010–11 Class of Emerging Leaders. PDK International is one of the largest global education associations. Their Emerging Leaders program recognizes top educators under age 40 who exemplify their tenets of leadership, research, and service. 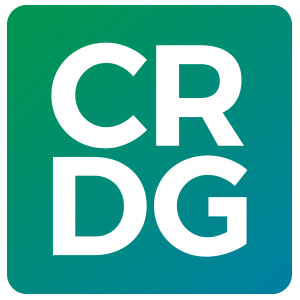 In addition to authoring and teaching science and computer literacy courses, Nguyen has developed electronic enhancements for existing curricula; overseen the development of science, economics, and computer distance-learning courses; and developed evaluation and assessment modules. She is currently the principal investigator of a major grant from the US Department of Justice to study multimedia juvenile victimization. 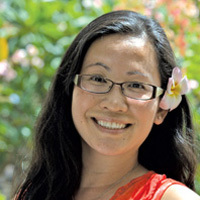 In addition, she is a member of several professional associations, president of the Hawai‘i Educational Research Association, and a member the University of Hawai‘i at Manoa faculty senate. “As an education professional, what drives me is the desire to equip all learners with the knowledge to understand and accept their own digital citizenship,” Nguyen said. “I rmly believe this is a key component of enabling our students to become global.” Nguyen expressed her gratitude to PDK Hawai‘i and CRDG for nurturing her intense passion for education research.